- One window for each preview. 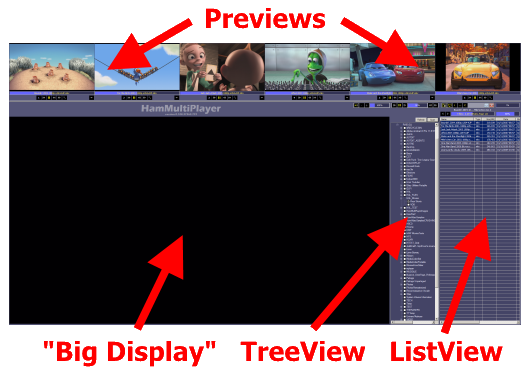 - One window for Big Display, TreeView and ListView. So you need a powerfull machine (with a good video card) to be able to use HamMultiPlayer in good conditions ! 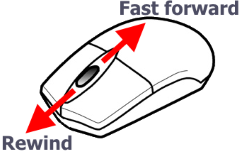 HamMultiPlayer has intensive MouseWheel usage. - Speed progress changes speed of 1%. - Over ListView, scrolls files list. - Over TreeView, scrolls directory list. Note : Using mousewheel away than Previews, ListView, TreeView, Speed, Big Display and Volumes makes moving all preview movies !